My latest for Sports on Earth rounds up the most significant trades and signings thus far this offseason. Below you can find my quick takes on the remaining moves in which a free agent signed a deal worth $1 million or more or a player was traded from one team’s 40-man roster to another’s prior to Friday, Dec. 8. An excellent fielder in center, Martin is quite valuable when he hits. The trouble is, he rarely hits. The Tigers may find use for his left-handed bat in a centerfield platoon with righties JaCoby Jones or Mikie Mahtook, but more likely the 30-year-old Martin will simply serve as a safety net at the position. After six years with the Yakult Swallows, righty reliever Barnett returned to the Major Leagues in 2016 via a two-year deal with the Rangers. He posted a 2.09 ERA in 53 games in year one, and a 5.49 ERA in 50 games in year two, but was closer to average than those extremes in both seasons (combined 4.04 deserved run average). The Rangers declined his $4 million option last month, but understood the quality of his underlying performance, which included 36 outings of more than three outs over the last two years, and brought him back at his 2016 salary. Formerly a heralded rotation prospect, Peralta regressed steadily after his 17-win sophomore season in 2014. The Brewers finally gave up on the 28-year-old this past season, bumping him first to the bullpen, then off the roster. The Royals, more interested in Peralta’s upper-90s velocity than his 11.94 ERA in 11 relief outings for Milwaukee this summer, are hoping a full-time move to the bullpen can unlock his potential. Despite a spike in his home run and walk rates and a drop in his groundball rate, Johnson wasn’t as bad as hit 5.56 ERA this past season. He won’t close in Anaheim, but he should be a reasonably reliable set-up man. Lefty reliever Justin Kelly is a non-prospect who was drafted in the 33rd round in 2016 and spent time at five different minor-league levels in 2017. More significant that perhaps either player is the financial side of this deal. The Angels assume Johnson’s $4.5 million salary for 2018 while also receiving $1.21 million in international spending capacity from the Braves. The Angels, one of the seven finalists for Shohei Ohtani, have since added another $1 million in capacity via a minor trade with the Twins and now have more than $2.3 million to offer Ohtani as a bonus, up from the $150,000 they had available prior to these trades. Cuban defector Diaz seized an opportunity as an injury replacement in early 2016 and stole the Cardinals’ shortstop job only to play his way out of that job in 2017. That job is now firmly in the grip of Paul DeJong, who is three years Diaz’s junior. The Blue Jays, burdened with an injury-prone shortstop of their own in fragile veteran Troy Tulowitzki, hope that, if and when the opportunity arises, Diaz can repeat his 2016 magic, which included a trip to that year’s All-Star Game. That doesn’t seem likely given that Diaz, now 27, was no better in Triple-A after a late-June demotion and had been dropped from the 40-man roster prior to the 2016 season. Still, Diaz arrives with five team-controlled years remaining, while Tulo has just three guaranteed years left. Woodman was the Jays’ first second-round pick in 2016. A college product, he struck out 157 times in 96 games in A-ball this past season and will turn 23 next week. Joining his fourth team in four years, Fister, who will be 34 in February, is a depth move for the back end of the rotation of a team in desperate need of that depth. Fister arrives in Texas with an 8.73 ERA in seven career starts in Arlington. Fiers is a year younger than Fister, less well-travelled, and heading to a more pitcher-friendly ballpark (he has a 1.50 ERA in two career starts in Detroit), but he’s not significantly better. He’ll be an innings-eater on a bad team. In the best-case scenario, he’ll have some good luck and the Tigers can get something for him at the deadline. Swing-man Petit had a career year working primarily out of the bullpen for the Angels in 2017. He cashes in here, landing set-up job with the A’s, who traded away Ryan Madson and Sean Doolittle in July. I got a little carried away when I put together my list of the ten greatest games in Wrigley Field history for the old ballpark’s 100th anniversary on April 23, 2014, spilling more than 600 words on the early history of the ballpark before getting to my list. I couldn’t argue when that was excised from the published piece, but still think the fact-heavy intro is worth sharing here. Commissioned by Charles Weeghman, the proprietor of the Chicago lunchroom chain Weeghman’s Cafés, the ballpark now known as Wrigley Field opened on April 23, 1914 as the home of Chicago’s entry into the new Federal League, a rival league created to challenge the National and American, the latter then entering just its 14th season. Weeghman owned the Chicago Federals and gave his own name to the ballpark at the corner of West Addison and North Clark Streets, which upon its inauguration had a single-decked grandstand and an official capacity of just 14,000 people. For Weeghman’s Park’s first game, the eighth game of the 1914 season for Chicago, which opened on the road, roughly 21,000 people squeezed into the new ballpark to watch the Joe Tinker-managed Chi-Feds beat the Kansas City Packers 9-1 on a Thursday afternoon behind a complete game by ace Claude Hendrix, a former Pirate who would be the new league’s best pitcher that season. The Chi-Feds finished a close second in the final standings in 1914 and, rechristened the Whales, claimed the Federal League pennant in 1915. That December, the two established leagues bought out the Federal League and, as part of the settlement, allowed Weeghman to purchase the Cubs for $500,000 from former congressman Charles Taft, half-brother of the former president, who had been the team’s caretaker for the previous two seasons. Weeghman effectively merged the Whales into the Cubs, naming Tinker the team’s new manager, adding several Whales players, including Hendrix, to the Cubs’ roster, and moving the team into his new concrete and steel ballpark from the old, wooden West Side Grounds that had housed the Cubs since 1893. Over the next century, the ballpark would undergo numerous updated and renovations, not to mention name changes. After Weeghman sold his majority share of the Cubs to minority partner and chewing gum magnate William Wrigley Jr. following the 1918 season, the ballpark was rechristened Cubs Park before ultimately taking Wrigley’s name in 1926. The upper deck was added in 1927. The marquee was installed in 1934. The bleachers and manual scoreboard were installed and the ivy on the outfield walls was planted in 1937, the latter in part by future Hall of Fame owner Bill Veeck, who was then the son of club president William Veeck Sr. The clock atop the scoreboard came along in 1941. Originally reddish-brown, the scoreboard and clock were painted green in 1944. Lights, famously, didn’t bring night baseball to the ballpark until August of 1988. For fifty years, from 1921 to 1970, the ballpark was home to the National Football League’s Chicago Bears, who derived their nickname from the association with the Cubs after moving into Wrigley (they had previously been the Staleys, after the food-starch company that founded the team). During that time, the ballpark hosted six NFL title games (five won by the Bears), the last coming in 1963. In fact, until 2003, more NFL games had been played at Wrigley Field than at any other venue. Outside of the title games, the most notable football game in Wrigley Field history may have been the Bears’ 61-20 win over the 49ers on December 12, 1965, in which Bears running back Gale Sayers tied a still-standing NFL record with six touchdowns. When Ian Kinsler and Brandon Phillips signed extensions on the same day, April 10, 2012, I wrote an analysis of their deals for SI.com. However, after discussion with my editor, I reworked the initial draft, dumping the nuts-and-bolts analysis of the two players and their contracts in favor of expanding my points about the impact of those extensions on the market for second baseman going forward. The published article can be read here. However, in light of the Prince Fielder-Ian Kinsler trade and news of the Reds’ interest in trading Phillips, I thought it would be worth posting the original draft here. Tuesday was a bad day for any team hoping to fill an organization hole at second base by making a big free agent splash in the next couple of years as two of the top second basemen in baseball, Ian Kinsler of the Rangers and Brandon Phillips of the Reds, both signed contract extensions that will keep them under the control of their current teams through 2017. With those contracts, just two of the top eight second basemen in baseball over the last three seasons (per Baseball-Reference’s Wins Above Replacement) are due to become free agents before 2015, and of those two, one, the Phillies Chase Utley, has been diminished by a degenerative knee condition, and the other, the Yankees’ Robinson Cano, seems like a lock to be extended by his current team before reaching free agency after the 2013 season. That alone works in favor of both extensions, which were handed out by teams whose time is now, the two-time defending American League pennant winning Rangers and 2010 NL Central champion Reds. On the surface, the extensions and the players who signed them are very similar. Both men are slick-fielding second basemen who have averaged in excess of 20 home runs and 20 stolen bases over the past six seasons, thanks in part to their hitting-friendly home ballparks. Phillips’ deal was for $72.5 million over six years. 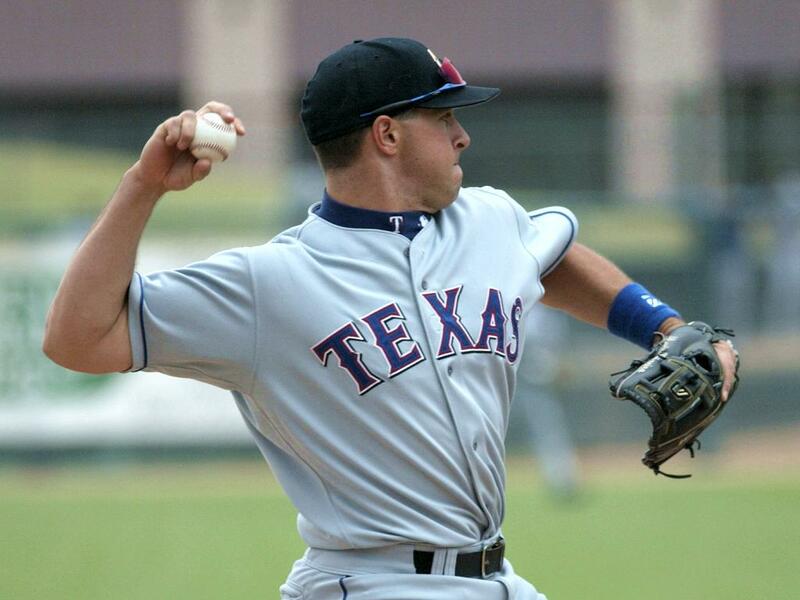 Kinsler’s was for $75 million over five years plus a club option for a sixth season. A closer look reveals a larger gap between the two men and the money they’ll make, though the difference in the latter corresponds appropriately to the former. First, the contracts. Phillips’ extension is being reported as a six-year deal, but the first year of that deal is 2012, and he’s making effectively the same salary on his new deal as he was making on his old one, which was set to expire after this, his option year. Phillips’ 2012 salary increased from $12.25 million to $12.5 million with his new deal. When you’re talking about big money contracts in major league baseball, a quarter million dollars is a rounding issue, so, really, Phillips’ contract is for $60 million over five years, significantly less than the $75 million Kinsler is guaranteed over the next five seasons (which includes a $5 million buyout for his team option in 2018, or year six of his new deal). Indeed, if you lop off that buyout, Kinsler’s average salary over the next five seasons will be $14 million, while the top salary of Phillips’ contract will be the $14 million he’ll earn in 2017, the result of a series of $1 million increases starting from his $10 million salary in 2013. So, Kinsler will make more, but he’s also the better player, and the gap in quality between the two appears larger than the gap in their contracts. From that alone it seems safe to say that the Rangers will get more bang for their buck than the Reds. One of the ironies about the comparison between the two is that, while Phillips has won the Gold Glove in three of the last four seasons, advanced stats have shown Kinsler to be the better fielder in each of the last three years. Ultimate Zone Rating has Kinsler leading by a little, but John Dewan’s plus/minus system and the historical stats published in volume three of his Fielding Bible have Kinsler in front by a lot, having saved 47 runs to Phillips’ 18 over the last three seasons. On the other side of the ball, the gap is easier to see. Over the past three seasons, Kinsler has averaged a .262/.352/.465 line with 24 home runs and 25 stolen bases, while Phillips has averaged a .284/.338/.445 line with 19 homers and 18 steals. Over that span, Kinsler leads Phillips in on-base percentage and slugging percentage despite hitting for an average 22 points lower. That shows you how much more patient and powerful Kinsler is at the plate. In two of those seasons, Kinsler hit 30 home runs and stole 30 bases, and in the last two combined, he walked more than he struck out, setting a career-high with 87 unintentional walks in 2011. Phillips, meanwhile, has topped out at 20 homers, 25 steals and 45 unintentional walks over the last three years. What’s more, Kinsler is one of the highest-percentage basestealers in the game. In 160 career attempts, Kinsler has been caught just 24 times, an 85 percent success rate. Phillips, by comparison, as been caught 21 times in the last two seasons in just 51 attempts. His resulting 59 percent success rate is poor enough that he would help his team more by never attempting another steal than he would by continuing to run into outs 31 percent of the time. Add up Kinsler’s advantages at the plate, on the bases, and in the field, and it’s clear that he’s a significantly better player than Phillips despite being comparable on the surface. Using Baseball-Reference’s WAR (hereafter, bWAR), Kinsler has been worth an average of 4.7 wins above replacement to the Rangers over the last three years compared to an average of just 2.9 wins above replacement for Phillips over that same span. That’s not meant as a knock on Phillips. Only six second basemen in all of baseball have averaged more wins above replacement over the last three seasons: Cano, Utley, Dustin Pedroia, Ben Zobrist, Kinsler, and Howie Kendrick, the last of whom is in a dead-heat with Phillips at 2.97 bWAR per year since 2009. Remove Utley, and that means there are just four second basemen in baseball who are clearly better than Brandon Phillips. As for Kinsler, who ranks fifth on that list, he’s closer to the top dog, Cano, than he is to Kendrick and Phillips. Kinsler also has the advantage of being almost exactly a year younger than Phillips, who will turn 31 at the end of June, though with Kinsler’s option, both could turn 36 before their contracts expire. That pushes both contracts right up against the danger zone for middle infielders in terms of decline, but that isn’t a major gamble given the potential for both men to earn their keep in their early 30s. However, because Kinsler is a better player, he has more room for decline, again not only justifying his larger price tag but making his larger deal, which would be worth $80 million over the next six seasons if his $10 million option for 2018 is picked up, the better bet to earn out on the field.